The Motse deck. 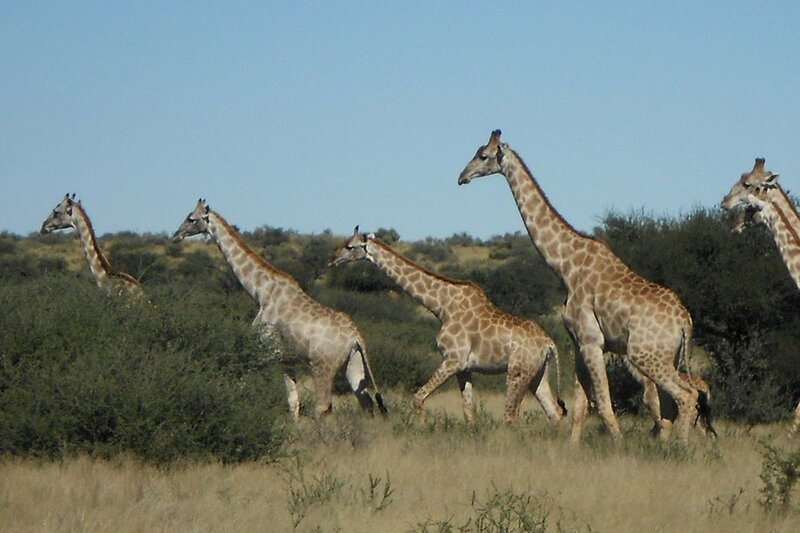 All photos courtesy of Tswalu Kalahari. 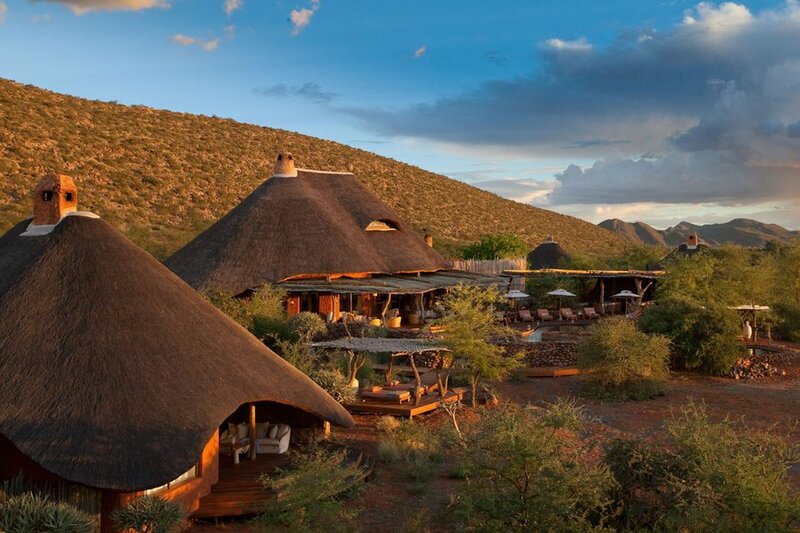 Subtly luxurious lodgings and top-knotch guides come together to perfectly redefine "safari." 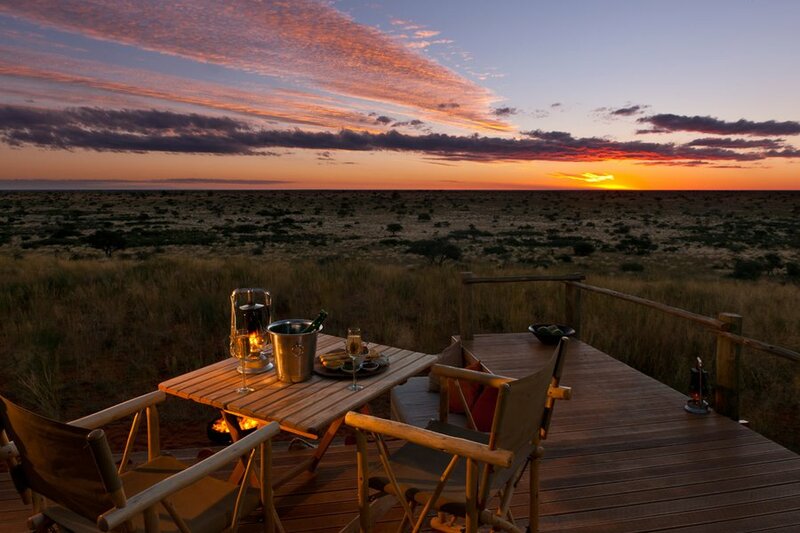 Contributing editor Christina Ohly has her ultimate bespoke safari experience. 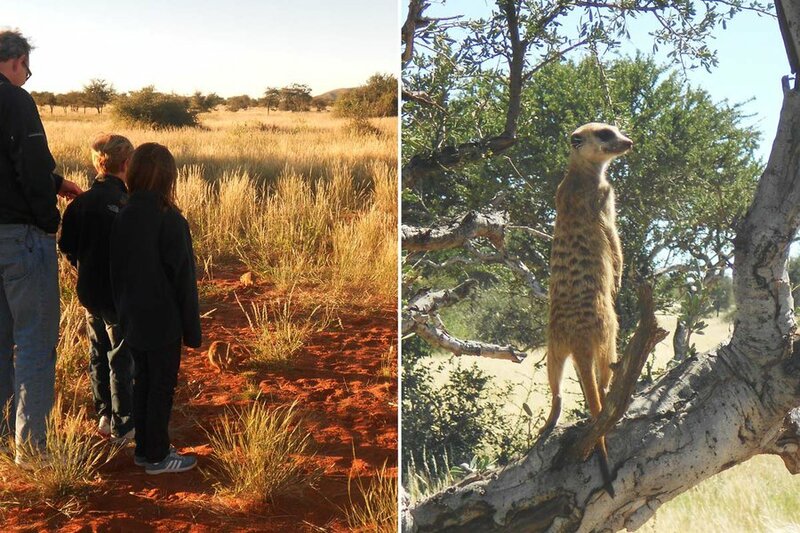 KALAHARI DESERT, South Africa – From the moment I arrived at the Johannesburg airport for the flight to , a truly unique game reserve located in the southern part of the Kalahari Desert, I knew this one was going to be different. 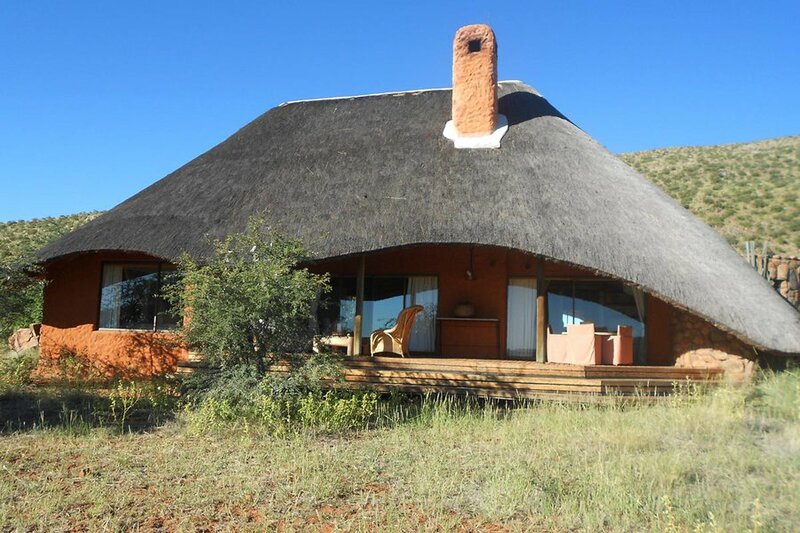 My family and I boarded their luxurious plane for the one-and-a-half hour hop to Tswalu's dedicated airstrip, warmly welcomed and escorted to a thatched roof terminal, and were greeted with thousands of chirping sociable weaver birds. The eco-adventure had begun! 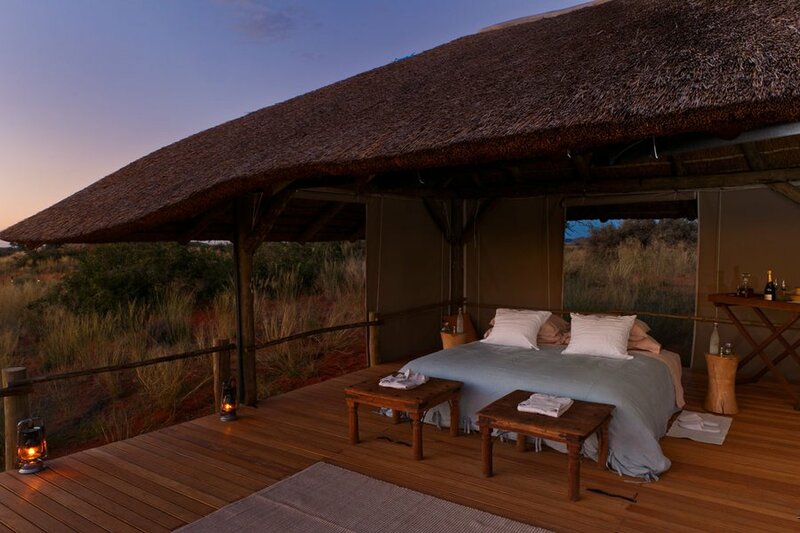 What sets Tswalu apart is not so much its red sand dunes and sprawling grasslands — though those certainly make for spectacular viewing — but the completely relaxed pace and tasteful motse (the local Tswana word for "village") that create a safari unlike any other I've experienced. After checking into one of the eight spacious legae — "little houses" — you'll have to pry yourself from your sun terrace in order to take in the game which you've theoretically come to see. 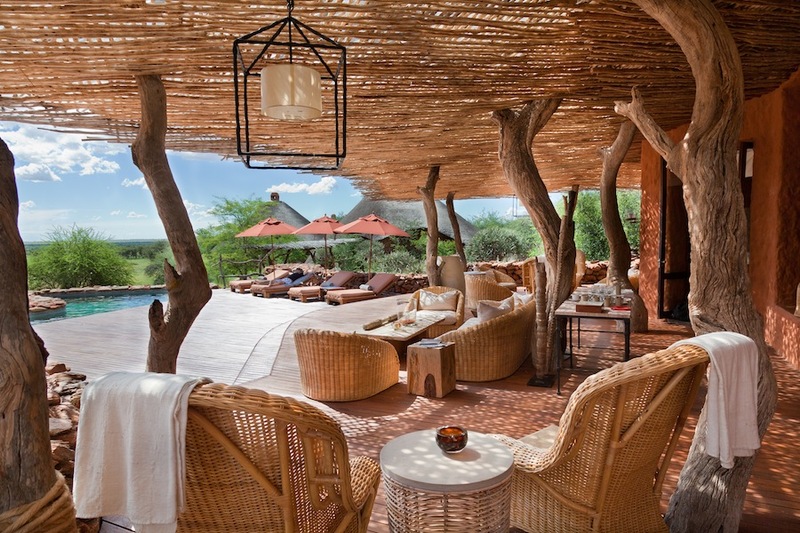 No detail has been overlooked, and while the suites are utterly simple (think minimalist contemporary furnishings mixed with traditional African baskets and art) the details — outdoor showers and big, open fireplaces — make them special. 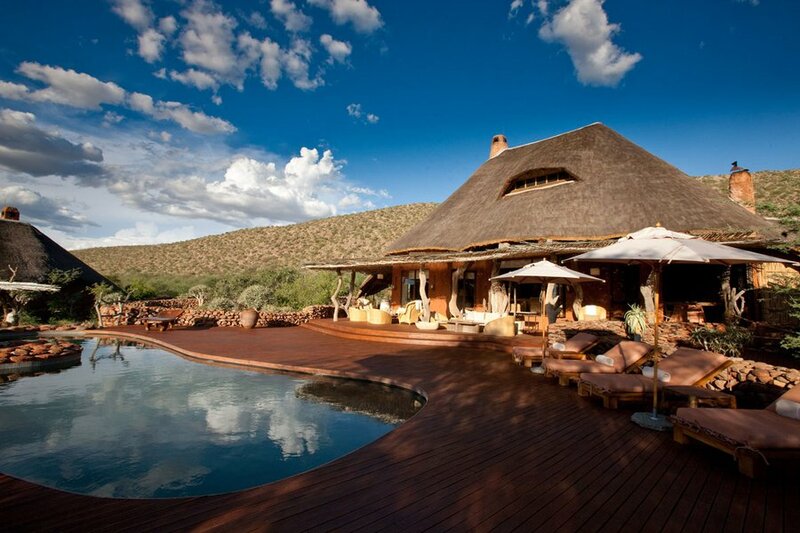 Tswalu offers a bespoke safari experience. 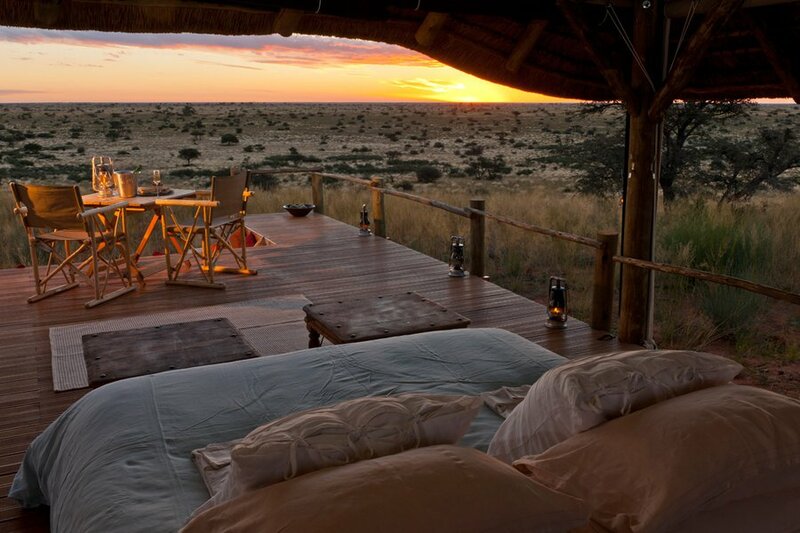 Gone are the 5 a.m. wake-up calls (unless you want them), endless off-schedule meals, and the quest for the Big Five. 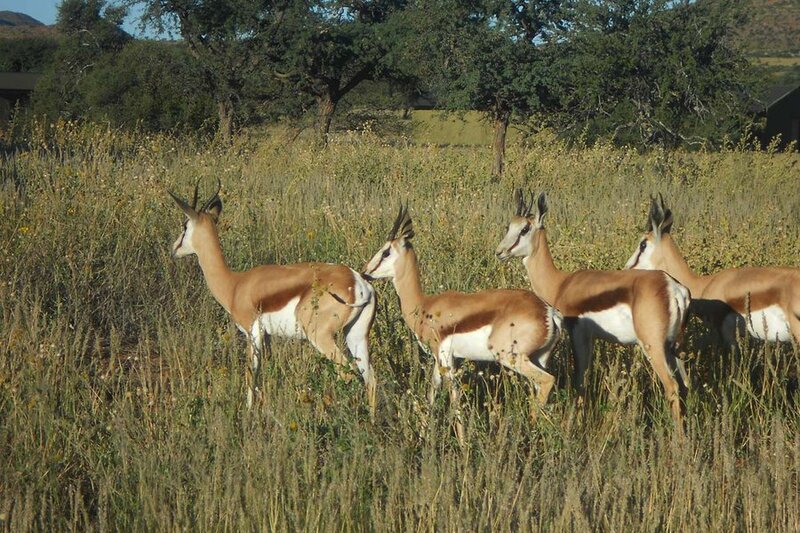 Tswalu — a thousand-square-kilometer reserve that is a labor of love for the Oppenheimer family — is all about conservation and land use, as well as the pursuit of animals that are not easily found elsewhere. Enormous black-maned Kalahari lions dazzle. So do families of frolicking meerkats, elegant giraffes strolling across open plains, and the elusive aardvark. It is also a birder's paradise, with over two hundred rare species readily on view. 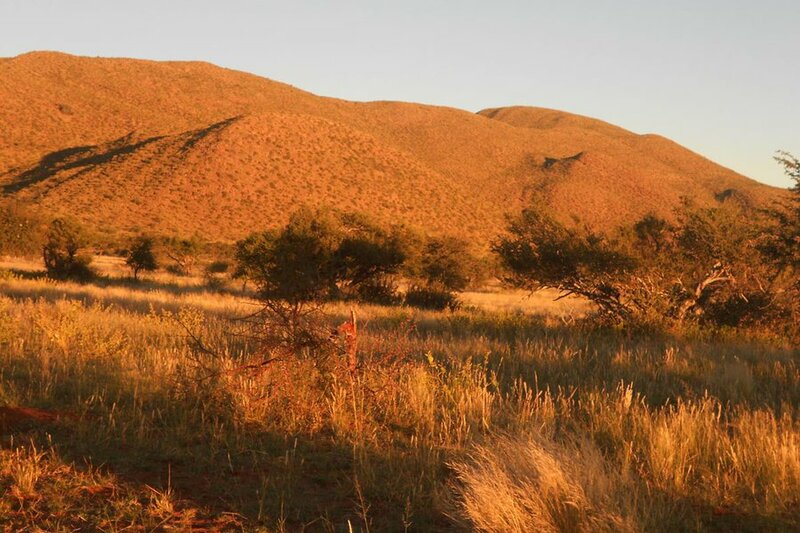 There is no sense of imminent danger here and that makes Tswalu what I refer to as "safari lite": you will constantly see, do, and learn, but without the threat of being some animal's next meal. 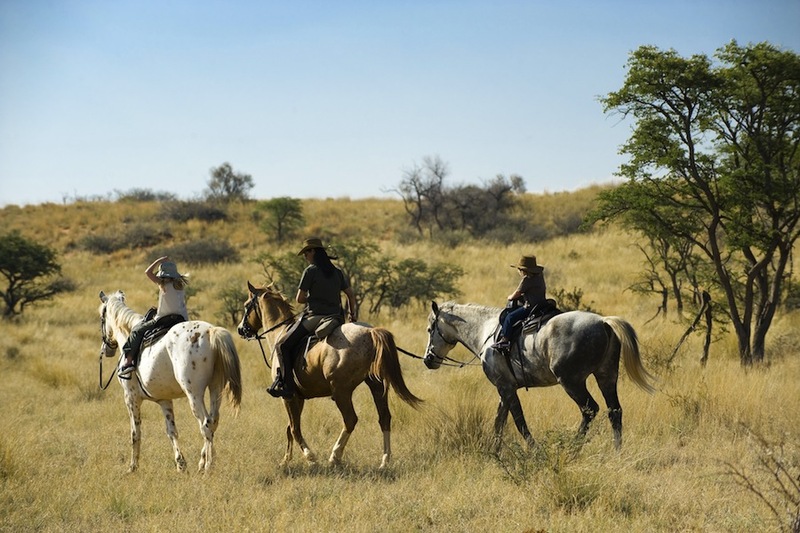 The guides and trackers are top-notch ecologists who lead safaris in a Land Rover, on horseback, or even on foot so that you can get up close to nature. Tracking takes on new meaning here. 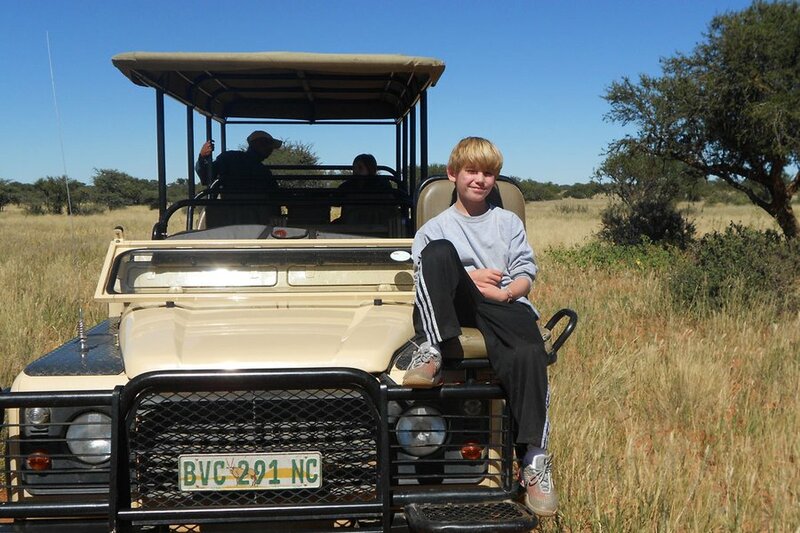 Our guide was happy to alight from the vehicle, rifle in hand, and bushwhack until he found prides of lions and desert black rhinos languishing in the mid-day sun. 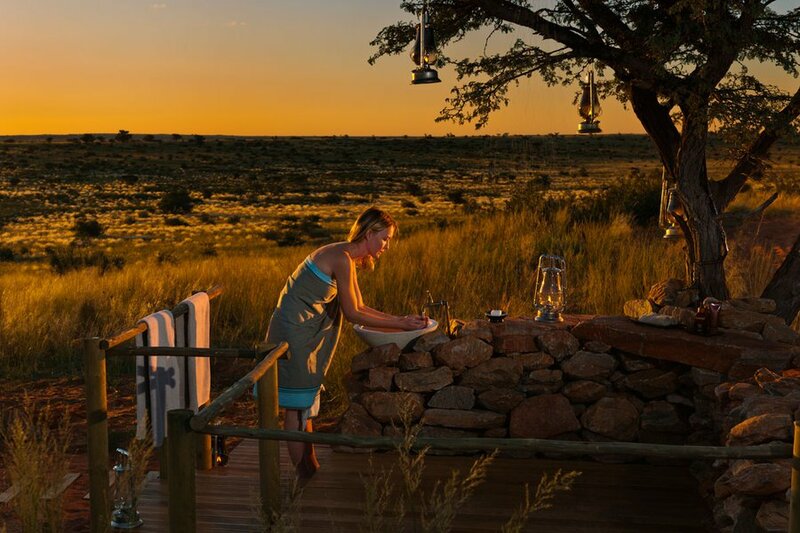 Other highlights included sleeping under the stars, eating a delicious lunch by the motse pool, and receiving authentic spa treatments that incorporate indigenous red dune sand, desert minerals, and botanical fibres. Add to this the absence of malaria and a warm community comprised of 142 staff members ( a peek into their eco-friendly housing, preschool, dedicated health clinic, and adult literacy programmes) and you get a real sense of how Tswalu is transforming this massive area, in terms of both environmental conservation and education. 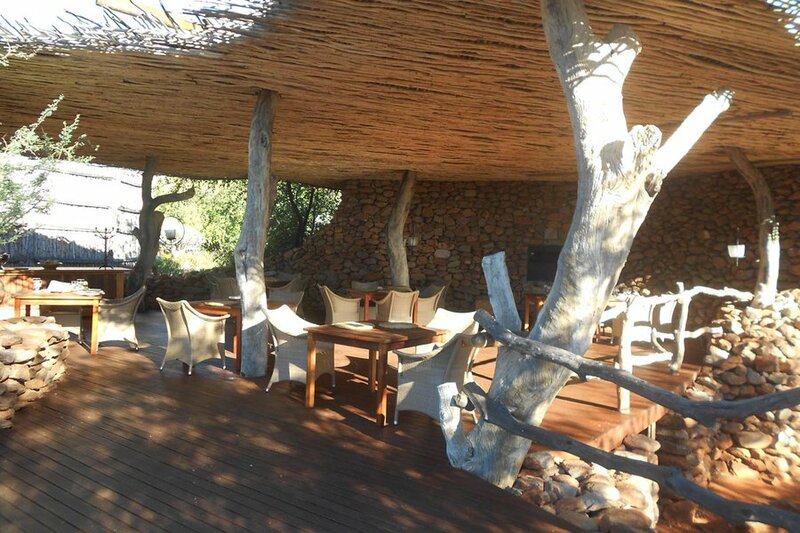 With only twenty guests at a time, Tswalu feels more like an intimate, low-key house party than a nestled at the foot of the Korannaberg Mountains. 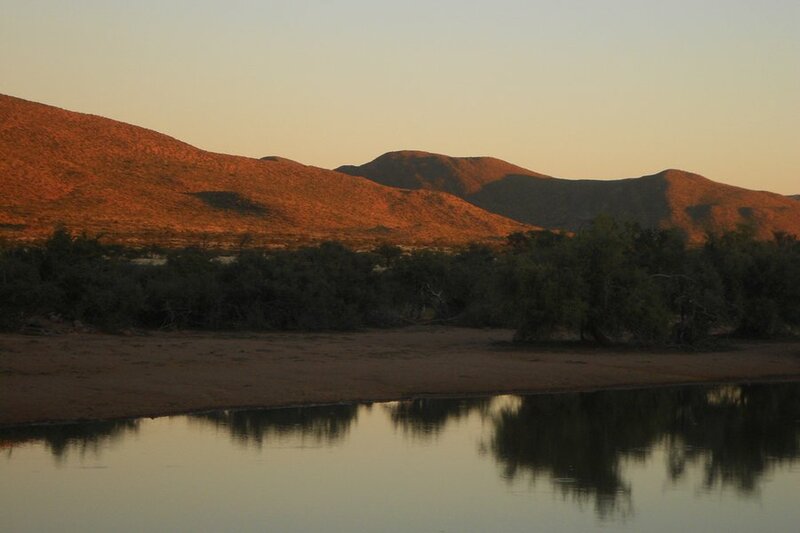 Its stated mission is "to restore the Kalahari to itself"; and I left this magical place feeling as though I'd been restored to myself as well. Getting up close and personal with meerkats. Photos by Christina Ohly. 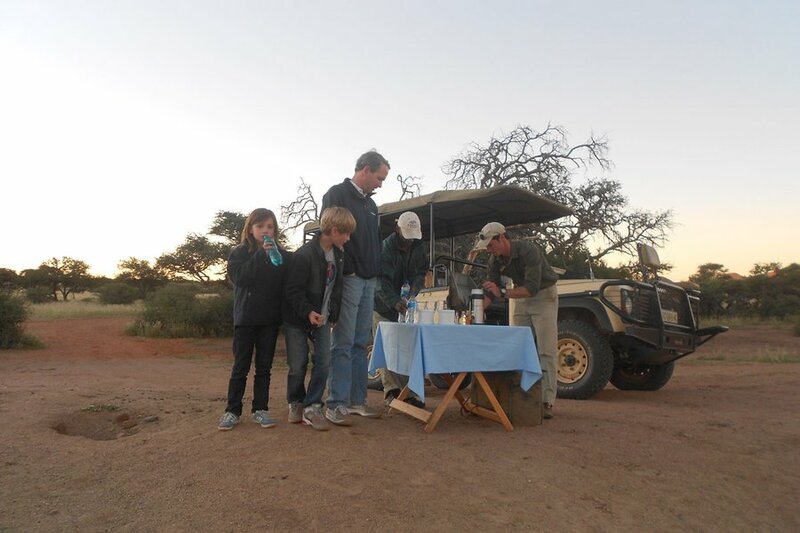 A sundowner with the family. Photo by Christina Ohly. Will finds the best seat for game spotting. Photo by Christina Ohly.